On Jan. 26, Ronnie Necessary, just days away from his 11th birthday, spoke to the Ventura County Board of Supervisors on behalf of “sick people” when he described how medical cannabis allows his mother to cope with chemotherapy treatment for stage 3 breast cancer and still be able to care for him and his two siblings. The Board of Supervisors had been considering new regulations and bans on medical marijuana-related activities at the regular Tuesday meeting. 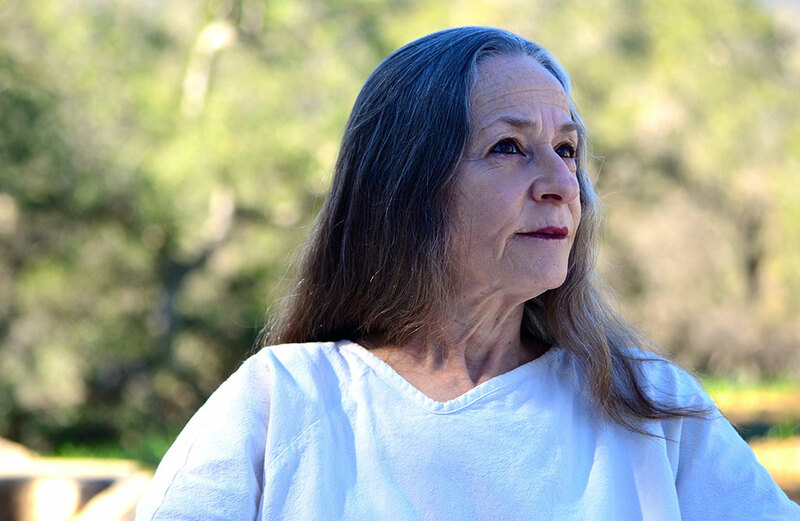 A young woman named Karen Moyers of Ojai asked the Board not to “ban the cultivation of medical cannabis.” She described her health problems since the age of 7, resulting in scar tissue on her colon and seven stomach surgeries. She was born with a rare congenital deformity causing a fused pelvis. “There are days when I can’t leave a hot shower; I sob on the floor,” Moyers said. “As a young teen I was taken to the emergency room two to three times a week.” Since using medical cannabis, her visits to the ER have declined to five or six times a year. Moyers and Necessary are just two of the many patients, caregivers and business owners who are actively advocating for safe access to medical marijuana as local lawmakers consider bans after a now-moot March 1 deadline put them in a panic over local control over the drug. While all cities in Ventura County already had dispensary and commercial cultivation bans in place using land use policies, all cities except Ojai recently banned personal cultivation and delivery as well. The bans continue to draw criticism and frustration across the county while lawmakers are tasked with exploring regulation versus outright prohibition. “The laws down here are draconian. It is much more difficult for patients to get safe medicine in Ventura County,” said Risa Horowitz, a 61-year-old resident of the unincorporated area of the Ojai Valley who moved here from Northern California a few years ago. Horowitz takes medical cannabis to treat pain from arthritis as well as anxiety and sleeplessness. She finds that very few local doctors are willing to write a recommendation for medical marijuana, and with a countywide ban on dispensaries, patients must locate a reliable delivery service or drive to Los Angeles County. (Santa Barbara dispensaries can only sell to people who live in Santa Barbara County.) The issue of access strikes close to home for Moyers as well. Sarah Armstrong with Americans for Safe Access (ASA) in Ventura County has seen the deterioration. “Patients have zero safe access in Ventura County at this time and that’s a terrible thing, which needs to change,” she said. Today in California medical cannabis is legal. In 1996, voters passed Proposition 215, the Compassionate Use Act (CUA). In 2004, the state legislature approved SB420, which expanded the CUA and exempted from criminal prosecution the transportation of cannabis for medical use. It also allowed the formation of cooperatives and collectives. But communities across the state have grappled with how best to manage the new legality of medical cannabis use. The latest wrinkle came last October, when Gov. Jerry Brown signed into law the Medical Marijuana Regulation and Safety Act (MMRSA), which creates a framework of regulation on the production, transportation and sale of medical cannabis, taking into account the need for patients to have safe access. Part of the bill protected city and county rights to craft legislation to fit their communities. But there was a problem: It contained language regarding a March 1 deadline for local governments to regulate cultivation or they would have to default to state oversight — though this deadline did not address delivery services. Intended for removal, a clerical error resulted in that language being left in and signed into law. The Leagues of Cities prompted much of the ban fervor by sending a letter in January to cities across the state about the need to act with haste before March 1. The deadline, however, is a moot point now, as a corrected version of the bill was signed by the governor in late January. But the language regarding the March 1 deadline included an exemption for localities that had “permissive zoning” policies in their land use codes. The ordinance went from the Planning Commission to the Board of Supervisors for final approval on Jan. 26. Ventura County Supervisor Steve Bennett, District 1, however, was supportive of safe access concerns. “I asked the Board to approve a direction to staff to begin the process of developing proper regulations needed to have safe, practical access to medical cannabis while minimizing any negative impacts on the community,” Bennett said. When the Board unanimously approved language, the Supervisors directed staff to return within eight to 10 weeks with a recommendation on the formation of a stakeholders group to provide input on regulations. “I made that request because I believe medical benefits of cannabis use are becoming more broadly known and we will only have safe, practical access with minimal negative impacts on the community if we invest the time and energy to create rational, effective regulations with a broad stakeholder input,” Bennett said. Armstrong noted that the Ventura County Board of Supervisors began a much-needed educational campaign on Jan. 26 when it instructed planning staff to come up with recommendations for creating a stakeholder group. “[The supervisors] further directed that this effort lead to recommendations on appropriate regulations being brought back to the Board by December of this year,” said Stephens. Several of the cities that rushed to get regulations on the books to beat the deadline, however, are not following up with changes now that the deadline has been removed. The March 1 deadline only dealt with cultivation, and it recognized permissive zoning as meeting the local regulation requirement. Regardless, the county and most cities in the county flew ahead with getting prohibitions on the books. Ojai’s staff advised the council no immediate action was necessary because the current municipal code utilized permissible zoning and therefore medical cannabis cultivation and dispensaries are already prohibited. She said legitimate delivery operators must be organized as a nonprofit collective or a cooperative under state guidelines (SB420 and Proposition 215). These operators carry a seller’s permit and pay sales tax to the Board of Equalization, pay fair wages to their employees and abide by all applicable labor laws. Delivery service operators carry liability insurance, workers compensation insurance and run background and DMV checks on their employees. Legitimate delivery operators also do not run their business out of their homes. “They follow the guidelines for the security and non-diversion of medical marijuana established by the [State] Attorney General,” said Sutula. All interested parties are keeping their eyes on the November ballot, in anticipation of a measure asking voters if recreational use should be legalized in California. Ventura Police Chief clarifies delivery servicesCamarillo:On Jan. 11 during a Ventura City Council hearing on a medical marijuana ordinance Ventura Police Chief Ken Corney made a statement that caused alarm among the medical cannabis community. Chelsea Sutula, industry committee chair with the Ventura County Cannabis Alliance, and others were concerned that using the term “delivery services” referred to legitimate medical marijuana business owners. In a phone interview, Corney clarified that statement was only directed to those incidents when individuals identified themselves as a delivery service, attempting to use the affirmative defense of operating under the Compassionate Use Act. Upon investigation, however, officers determined they were more akin to common drug dealers. Medical marijuana laws in Ventura CountyCamarillo: Medical marijuana facilities, marijuana cultivation facilities, commercial cannabis activity and medical marijuana delivery (with some exceptions) are prohibited. Violations constitute misdemeanors. “The City Council will not be revisiting the subject of marijuana cultivation in the near future, unless there are changes in federal and state law; the Council is concerned that the cultivation of marijuana continues to be prohibited under federal law. We anticipate that the Council will be reviewing this matter again as various initiatives are qualified for the 2016 general election ballot,” said Dave Norman, assistant city manager of Camarillo. Fillmore: Cultivation, dispensaries (including cooperatives and collectives) and delivery of marijuana are prohibited. On Feb. 23, after the March 1 deadline was removed from the Medical Marijuana Regulation and Safety Act, the Fillmore City Council voted to pass a new ordinance creating an “express ban on marijuana cultivation, delivery and mobile marijuana dispensaries.” Violations constitute a misdemeanor under a public nuisance, with fines up to $1,000 and/or up to six-months imprisonment. The City Council instructed staff to come back to them within 60 days with recommendations on amending the law. Moorpark: Two ordinances approved, prohibiting commercial cultivation and delivery. Cultivation is allowed by a qualified patient. Delivery is allowed by a designated caregiver for a qualified patient. Deliveries by “cooperative or business, which distributes … including marijuana for medical purposes to qualified patients,” are prohibited. The City Council has not instructed staff to make any further recommendations on this issue. Ojai: Brick and mortar dispensaries are prohibited, through permissive zoning principles. No express bans in place, and medical cannabis patients and their designated caregivers have all protections as provided under state law. Collectives and cooperatives are allowed in accordance with state law. Ojai has issued a business license for a commercial medical cannabis-testing laboratory. The City Council is forming a community task force to examine the issue and inform the council. Oxnard: Cultivation, delivery, dispensaries and collectives/cooperatives are prohibited. Violations are made a public nuisance. There might be some exceptions for health-care clinics, health-care/residential homes and facilities. The city did not respond by deadline to inquiries about whether they would be revisiting the issue in the coming months. Port Hueneme: Cultivation, delivery, dispensaries and collectives/cooperatives are prohibited. Exceptions are made for licensed health/residential facilities. The City Council directed staff to come back with changes related to delivery, cultivation and dispensaries. That action took place on Feb.16. “I would not expect the report and amended ordinance to be before the Council before April 4,” said John Baker, interim city manager with Port Hueneme. Santa Paula: Medical marijuana dispensaries, cultivation, delivery and mobile dispensing are prohibited. The city did not respond to inquiries about whether the issue will be revisited in the future. Simi Valley: On Feb. 22, the City Council had a first reading of an ordinance imposing an express ban on medical marijuana cultivation (including by patient) as well as processing, distribution and delivery “on all properties.” A second reading and vote are scheduled for March. Thousand Oaks: Commercial cannabis “activity” as a land use is prohibited. “Transportation” of medical marijuana “obtained through other legal means not in violation” is allowed by qualified patients or care providers for personal use by patients. According to Geoff Ware, code compliance manager with the city of Thousand Oaks, the City Council is taking a wait-and-see approach before revisiting this issue. The Council will see how the general election unfolds and will probably revisit in about a year. Ventura: Commercial cultivation, distribution facilities and delivery services are prohibited. “All deliveries of medical cannabis are expressly prohibited within the city.” Also prohibited are deliveries “originating and terminating within the city.” There is no interference with state law allowing “cultivation by individuals for medicinal purposes.” All “activities” requiring a license under MMRSA are prohibited. According to the office of the city attorney the issue is not scheduled to go back to the City Council for a while. The City Council is waiting to see what happens on the November ballot.